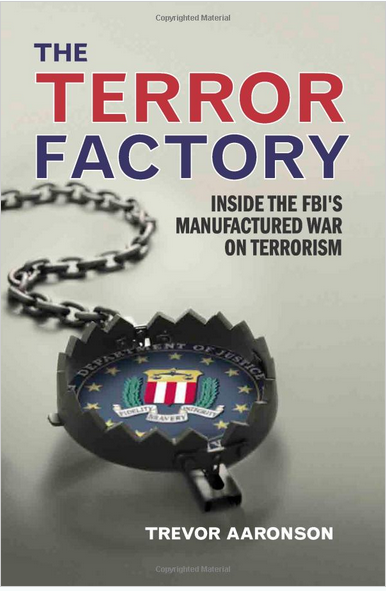 Claiming in his book that most terrorism suspects could never have carried out an attack without the help of the FBI, Aaronson spoke at length with The Atlantic about his research. Trevor Aaronson: The FBI is looking for what they term “a lone wolf terrorist,” which is someone holed up in an apartment somewhere who sympathizes with Al-Qaeda but may lack the specific means to do that. And so the FBI uses sting operations to [find] these people — these people who may want to commit an act of terrorism, are right on that line from moving from sympathizer to operator — and then through these sting operations, lure them out and get them involved in a terrorism plot that they’re ultimately prosecuted for. Posted: 2/27/13 at 8:55 AM under FBI, News Story.